The first three points are mainly focused on child support, and the fourth point determines the period of time each parents gets with their child. The Arizona Child Support Guidelines explains that calculating parenting time days is as follows “For purposes of calculating parenting time days, only the time spent by a child with the noncustodial parent is considered. Time that the child is in school or childcare is not.” What this means is the main focus that the courts and child custody lawyer are concerned with is determining the period of time the noncustodial parent is allowed to spend time with his or her child. The time the child is at school or daycare does not count. Neither parent goes to school with the child. However, there are situations when courts overlook this rule. If you volunteer with school activities and/or go to every PTO meeting, the courts might include those hours. The calculated time is based on a range of days of each parents spends time with. That helps the court and family lawyer in Mesa establish a clear idea of your parenting days. Depending on the financial situation and parenting days each parents hold for their children will determine who will get full custody and how much time the the other parent will get to spend with their child. There other guidelines, but this the starting. Arizona has guidelines for child support and how much time a parent get to spend with their child because it sets a standard. Again, it’s tough fighting for privileges to see and spend time with your child. 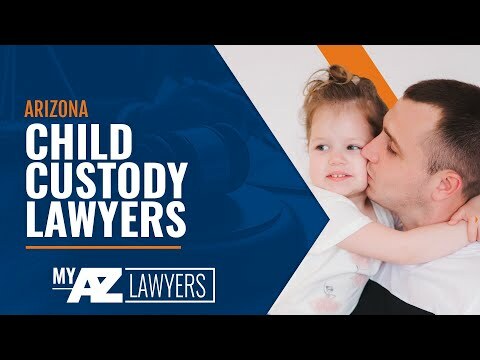 If you have any questions, concerns or want to consult with a family/child custody lawyer in Mesa, visit our website: AZFamilyLawLawyer.com. Or gives us call at 480-833-8000.